Sprint WiMax: 2-4Mbps, $55/month, Open Access? Yes, Please. Here's yet another reason to hold off on buying that iPhone this year: Sprint's 4G WiMax wireless broadband is coming along nicely, and by next year should be available to 100 million customers. 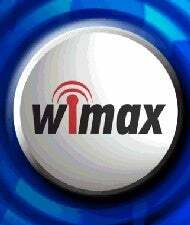 Rather than lock yourself into two years with 2G web access, why not wait for WiMax? When it's unrolled in DC and Chicago early next year it'll provide 2-4Mbps speeds for $55 a month, and it'll be open access. That means you won't be stuck in the "walled garden" of approved sites that some cellular web carriers put you in, and it'll provide open access to the Internet like your broadband account. If it's as reliable and as fast as they claim this has the potential to replace cable and DSL lines as people's connection of choice. Let's make NYC the third city you roll this out too, OK Sprint?